As a leading real estate professional in the Inland Empire, Pam Wehmeyer is thrilled to bring her southern hospitality to the residents of California. And this Georgia native is making quite an impression with buyers and sellers throughout the community with her personalized style of business and genuine concern for her clients’ best interests. 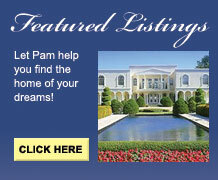 When you add Pam’s wealth of knowledge and expertise, it should come as no surprise that she’s known as the real estate professional to trust with all your real estate needs. If you’re in the market to make a move, turn to a dedicated professional who treats you like part of the familya professional who is Bringing Southern Hospitality Home. Call Pam Wehmeyer today.